Outlook, the worlds fastest growing email service now releases another great feature for its users to make calls directly from outlook without need to install Skype in system. 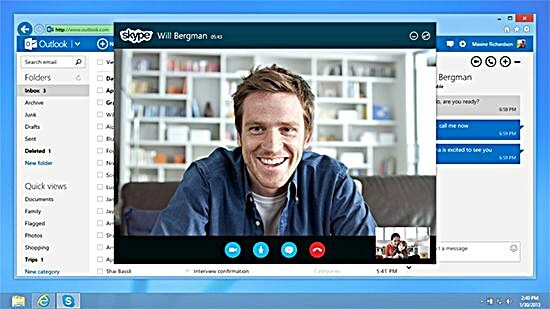 This call feature become possible by integration of Skype with Outlook. By use of this feature people can make calls to their email contacts and to contacts from other social networks like Messenger, Facebook, Google, etc. The only requirement to make calls from outlook is to make sure that you have linked your Skype account with outlook. According to Outlook Official Blog this feature is currently available for selected countries in north America.